India’s No. 2 cinema chain Inox is acquiring its smaller rival Sathyam for INR 1.82 billion (USD $30m), in a deal that harbingers further multiplex consolidation. Understandably there is a lot of coverage in Indian media, but by far the best article on the subject is Patrick Frater in Variety; once again the gold standard of media-related journalism. His take is that it points to structural weaknesses in a market where growth through acquisition is the only option when organic growth is proving hard to achieve. The exhibition scene in India is a complicated one. While most analysts suggest that the country is fundamentally under-screened, which deprives the industry of theatrical revenue, consolidation is proving easier to achieve than organic growth. Land ownership issues and limitations on the modernization of the retail sector have severely crimped new cinema construction and most companies’ forecasts of growth have proved wildly optimistic. Yet the news led to a rally in Inox shares and more acquisition could be ahead. Expect an announcement on Big Cinemas in August. India – PVR may have lost out in the battle for Sathyam (if there was a battle), but the company that defined multiplexes in India is not resting on its laurels. PVR Group President Pramod Arora has been criss-crossing the world to seek inspiration for the company’s Superplexes. An article that is worth reading in full, not least as it lifts the lid and provides a great level of detail about PVR’s plans. Did you know, for example, that PVR’s mobile app uses predictive intelligence? A treasure trove of information. “As plans for the Superplex were drawn, I visited every cinema hall in every part of the world to experience the best practices that we can pick up. At the end I realized cinema industry may not be the correct industry to look at. By looking at the cinema industry we realized that either we were ahead of what others were doing or at par with what they were doing,” says Arora. Arora turned elsewhere for insights. “In terms of benchmark we decided to compare ourselves to the hospitality industry and also looked at companies like Apple. People say there are no similarities between Apple and the cinema industry but there are immense commonalities. Brazil – Volfoni has picked up its first customer in Brazil. Volfoni is proud to announce that Roxy has chosen its 3D cinema systems, in particular the SmartCrystal Diamond, Volfoni’s latest ultra light efficiency technology. Thanks its long-standing partnership with projector manufacturer NEC, installation will begin this month throughout the Roxy Cinema chain, one of the oldest theater chains in Brazil. India – Proof again, if proof is needed, that cinema audiences get upset about bad sound but rarely complain (or rampage) when it comes to bad picture quality. 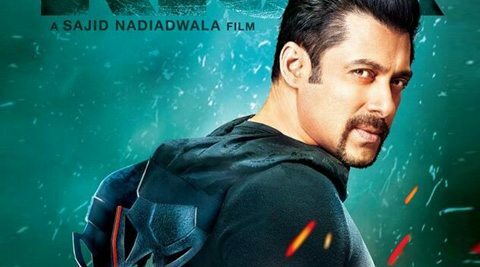 A bunch of youths went on a rampage inside a cinema hall in Bareilly when the Salman Khan flick they were watching became inaudible due to a fault in the theatre’s sound system. The youths, upset that their Eid fun was getting spoilt, broke furniture and smashed window panes as the hall authorities reportedly failed to fix the defect even after an hour. USA (LA) – Southern Theatres has opened an eight-screen complex in Covington, Louisiana. and it’s an all-Christie affair. Christie®, the global leader in visual displays and audio technologies, is proud to announce that Southern Theatres has completed its second “all Christie” entertainment complex, at the new Southern Theatres Movie Tavern 8 in Covington, Louisiana. The eight-screen cinema eatery is powered exclusively by Christie Solaria® Series projectors and Christie Vive Audio™ cinema systems, comprised of Christie’s innovative line array wall and ceiling surround speakers, purposely crafted and built for the cinema environment. Christie’s Professional Services team provided complete design, integration and installation services and will continue to provide 24/7 remote monitoring and ongoing technical support through Christie’s Network Operations Center (NOC). 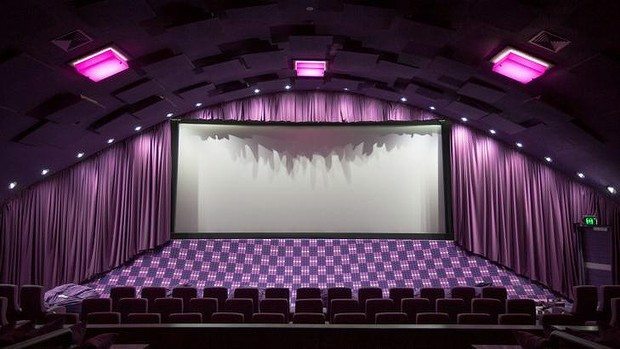 Australia – We featured it yesterday, but today we get more pictures from the gloriously restored Village Twin cinemas. More in the article. Almost 100 years after silent films first flickered on its screen, movies have returned to New Farm’s historic cinema. Brothers Peter and Stephen Sourris have painstakingly restored the complex on the corner of Brunswick and Barker streets, turning what was once known as the Village Twin into the six-screen New Farm Cinemas. It is opening tomorrow and more than just the fate of the galaxy is riding on them, the fate of the summer box office depends on a band of outlaw heroes. Here is what Seeking Alpha has to say about Guardians of the Galaxy. 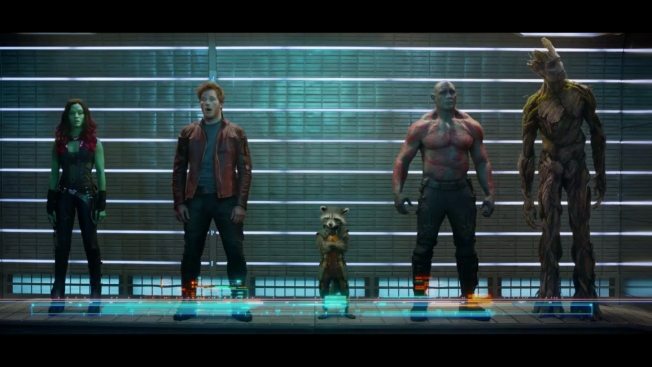 This weekend’s debut of Guardians of the Galaxy will be the largest August opening in history with the Marvel (NYSE:DIS) film tapped to show in over 4K theaters including 350 IMAX (NYSE:IMAX) locations. The studio expects a $65M opening, while some Hollywood forecasts range as high as $74M. The film is being closely watched in the industry because the major superhero characters aren’t well-known. A successful run would bode well for more profitable character spinoffs from powerful franchises such as The Avengers and Star Wars.